Congratulations to tour winner Debra G. and to host winners Enchanting Reviews and Fabulous and Brunette. 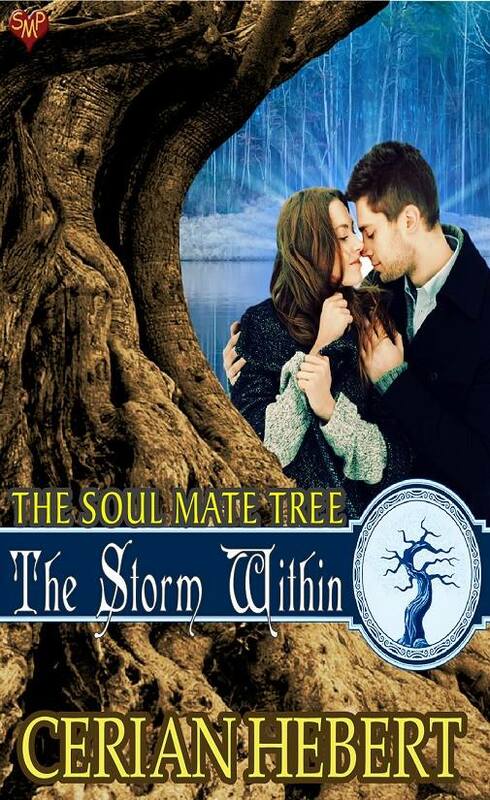 Goddess Fish Promotions is organizing a Virtual REVIEW ONLY Tour for The Storm Within by Cerian Hebert, a 125 page Contemporary Romance/Paranormal available now from Soul Mate Publishing. The tour will run every Monday for 4 weeks starting on December 3, and the book is available in PDF format. Cerian Hebert will be awarding a $10 Amazon GC to a randomly drawn winner via rafflecopter during the tour, and a $10 Amazon GC to a randomly drawn host. Because this is a review tour, GFP will award a $5 Amazon GC to a randomly drawn host. December 10: Archaeolibrarian - we dig good books!